The perfect way to deliver and protect costly dry mounts from weather. Keeps fingerprints, smudges, and dirt off presentation boards. Made from .00275mil. white low density polyethylene. 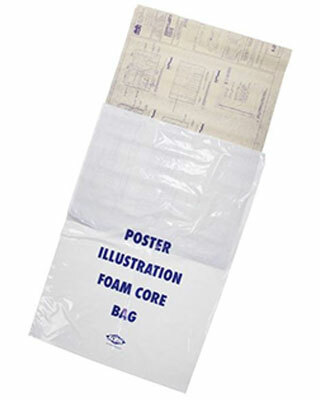 Fits most popular sizes of foam board. 100/box.